Last month, I took my first ever trip to the Pacific Northwest. We started off in Portland and headed north to Seattle and Vancouver. 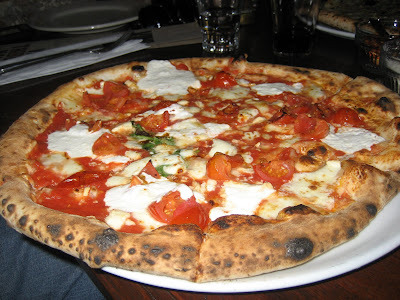 Overall, I was quite impressed with the food in these three cities and I made sure to try pizza in each place. Over the next few days I’ll be reporting on my findings. 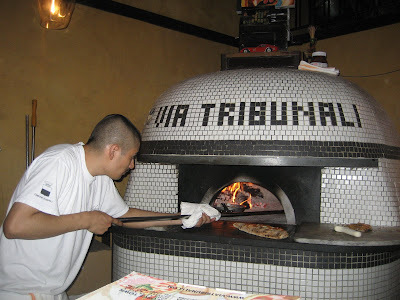 Of the four pizza places I tried, one really stood out of the pack: Via Tribunali in Seattle. They currently have five locations in the city and we went to the one in Capitol Hill. I’d been warned about pizza in Seattle and many online reviews would have disclaimers like “It’s great… for Seattle, that is.” As someone who has had more than his share of New York pizza, I must say that Via Tribunali was as good as, if not better, than many of the upscale artisanal pizza places that have been opening here recently. All three were stellar. 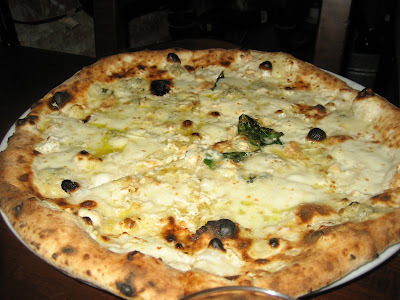 My favorite was the Quattro Formaggi, which I was told was new to their menu. 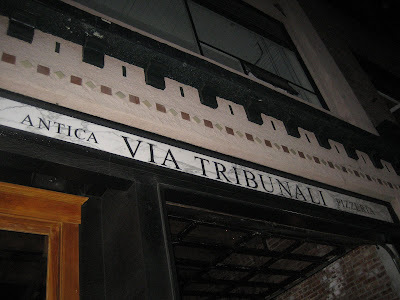 Next, I liked the Via Tribunali. And the Funghi was also tasty. 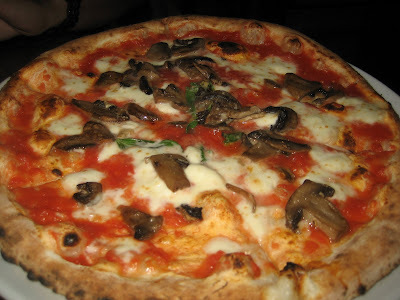 It’s interesting to note that me and my two fellow diners, Shyam and Kajal, were equally enthusiastic about the pies but ranked them differently (Shyam = Via Tribunali, Funghi, Quattro Formaggi; Kajal = Funghi, Quattro Formaggi, Via Tribunali). While I haven’t heard any rumblings about a burgeoning pizza scene in Seattle, it’s no surprise that this little chain has been able to open five locations given the high quality pizzas they churn out. I didn’t have time to try any other pizza in Seattle, but I hope more places like this continue to turn this beautiful city into a destination for pizza. Previous: I Love Pizza. And I Love Football.